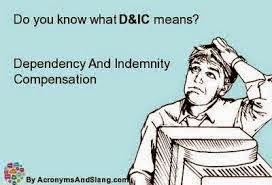 The Veteran Affairs Dependent Indemnity Compensation (DIC) program works like this. If a veteran has service-connected disability and dies from that particular disability, he widow, widower or parents may be eligible for DIC compensation. There are many ifs, and and buts. 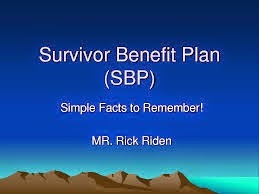 For example, if the surviving spouse receives compensation under the Department of Defense Survivor Benefit Program (SBP), the DIC benefits usually become a tax offset. You cannot normally get both SPB entitlements and DIC benefits. If the surviving spouse remarries, DIC benefits may be terminated at the date of that marriage. In addition, parents of a decreased veteran my be able to receive DIC benefits,but there are income restrictions. "A surviving spouse who remarries on or after December 16, 2003, and on or after attaining age 57, is entitled to continue to receive DIC." Social Security has no offsets for compensation or pensions received from the VA. One person who contacted the writer is saying that the VA has a means test for DIC, but the writer was not able to find any information on means tests except for parent's applying for DIC. As mentioned earlier, there are DIC offsets for spouses who receive entitlements from SBP as the spouses of deceased retired vets from the armed services. Likewise, if a spouse receives DIC and remarries, the DIC benefits will terminate in certain circumstances. Now that gay couples can marry in the majority of US states, these couple need to aware that a gay marriage could result in the termination of DIC. I send messages to and receive messages from the Veterans Administration using the IRIS Inquiry System. Have found that suggestions and complaints work better using IRIS than opening an Congressional inquiry which can slow down a claim.The link to IRIS follows. However, printing the IRIS inquires and responses has been a problem in GMail and many other email systems like Outlook Express in Windows. Even researched this on the Internet and did not find any solutions. Tried fixing the problem with some GMail FireFox add-on extensions, but that didn't work either. 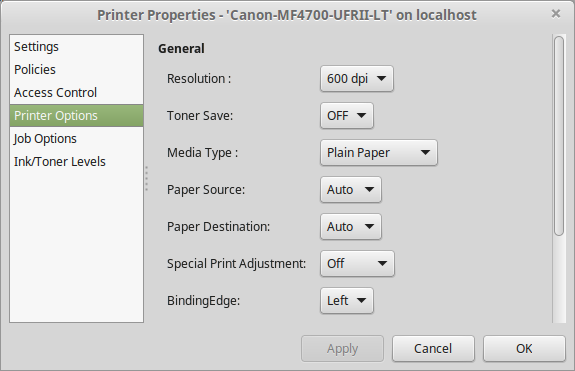 Thought perhaps I had a printer problem, so I opened my Administrative Settings | Printers and clicked on my laser printer, the Canon MF4700. Under Print Option i changed the Special Print Adjustment to OFF after trying the other modes of 1,2, 3 and 4. Mode 2 is the default. Finally, my margins on the right were not cut off when printing. The printed message even had a GMail logo on top and the thread included the full date time groups. Would imagine there is a corresponding option that can be changed in Windows.